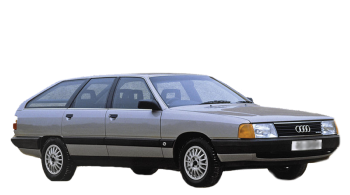 In 1990 Audi started production of autos type 100 Avant, modification of CS 2.5 TDI and finished it in 1991. In this car can fit 5 men including the driver, it has the body type of a wagon with five doors, and length 4.8 meters, weight 1.4 tons. «100 Avant CS 2.5 TDI» automobile with a 5-speed manual gearbox is connected to the front-wheels. This automobile can speed up for 10.1 s to 100 km/h, with a top speed of 198 km/h, thanks to a 5-cylinders diesel motor with a «direct injection system», which produce a maximum power of 120 hp at 4250 rpm. Fuel tank volume of this auto is 80 liters of diesel, thereby when intermediate fuel consumption is 6 l per 100 km, that allows to go nearly 1334 kilometers unrefueled. The forward wheels of this model have ventilated disks brakes and attached to the undercarriage using suspension «MacPherson, independent, coil springs» and equipped stabilizer bar. Rearward wheels have drums brakes and fixed to the body chassis through suspension «Unknown, coil springs». Tires have the following dimensions - 205/60VR15. 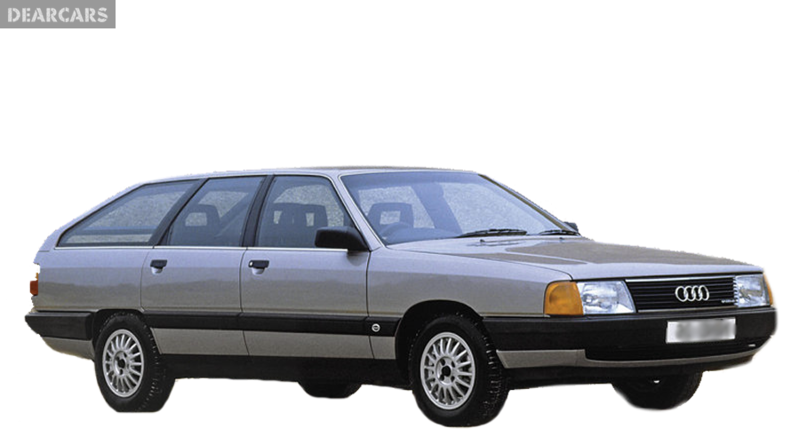 Audi 100 Avant is not tested for Euro NCAP crash test. This car does not have active and passive safety.